Enter to win this free book. With a few products from Wholesome Sweeteners you can turn your favorite food or dessert into a more natural/organic treat. I just made some yummy chocolate chip and walnut cookie bars using the organic sugar and organic light brown sugar from Wholesome Sweeteners. They came out soft and chewy and very delicious. My family and friends thought so too. To be the premier supplier of added-value natural and organic sweeteners to retail, food-service and industrial food manufacturing markets of North America. Wholesome Sweeteners holds fast to a "Fair Trade, Not Aid" philosophy. This was very interesting to me. Fair Trade was all over the packaging and I was wondering what it was all about. I love this! Farmers receive a fair price: Democratically organized farmer groups (called cooperatives) receive a guaranteed minimum price and an additional social premium for certified organic products. Farmer organizations are also eligible for pre-harvest credit. Direct trade: With Fair Trade, importers purchase from Fair Trade producer groups as directly as possible, eliminating unnecessary middlemen and empowering farmers to develop the business capacity necessary to compete in the global marketplace. Environmental sustainability: Harmful agrochemicals and GMOs are strictly prohibited in favor of environmentally sustainable farming methods that protect farmers’ health and preserve valuable ecosystems for future generations. You can read more about this in the link above. There are so many products to choose from! *Organic Stevia seems to be the big sweetener these days. My husband took a box to work because all the guys in his squadron love that stuff! Organic Stevia has NO calories, NO artificial sweeteners and is LOW on the glycemic index. Perfect for hot and cold beverages, cereal and for sprinkling over fruit, we believe this is the Best Tasting Stevia in the world! * If your not a stevia fan try Oragnic Raw Blue Agave: Its processed at low temperatures and lightly filtered for a rich, full flavor. It is great in coffee, tea, cocktails and all for all of your on-the-go sweetening needs. Use wherever you would use a table sugar. Organic Sweetness On the Go! * There are 4 different flavors of the Organic Raw Blue Agave Syrups. They have Cinnamon, Strawberry, Maple, and Vanilla. My kids loved the strawberry. The 1st comment out of my 8 yr old's mouth was "Hey, my syrup's not red!" I gladly told him that there's no artificial junk and food coloring in it. That's what syrup should look like! There are so many more products that you can find information on here. I am in love with everything I've tried. I can be sure we have a wonderful product that I am feeding my family. Thank you Wholesome Sweeteners for caring! Subscribe to their blog. There's a lot of great information there! The wonderful folks at Wholesome Sweeteners is offering this beautiful gift basket to one of my readers! I received the above products for my honest review. 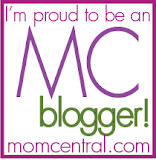 We love Oral B in our house, so I was very excited to learn that we were selected for a Mommy Party. What an awesome time we had that Thursday morning. I had some of my mommy pals and their kiddos over for some great fun. My kids helped set up our movie theater. We got the concession stand ready to go. I had the flash cards ready. The guests arrived and the fun began. I had the kids eat first and then they all went to the theater room. While they waited for everyone to finish eating they played with the balloons. All the moms were very happy with their gift bags as well the kids. They all got a body wash, toothbrushes, and toothpaste to take home for their children. The kids watched the Winnie the Pooh movie and seemed to enjoy it. They were laughing so loud at the funny parts. After the movie they headed back to the concession stand. It was just so fun to get together. Thank you Oral B Stages and MomSelect for this opportunity! These products were provided by MomSelect and sponsored by Oral-B Stages. This is my honest review of the products and party. Conscious Box is a monthly delivery of pure and sustainable products that are handpicked from businesses that care for the planet, just like you do. Now, what you do is subscribe for their monthly delivery of wonderful products. It totals about $19 for 1 month which includes the shipping. You can get more for less as well. You can choose between a 3 month and 6 month subscriptions. The longer the subscription, the more you save. They really do stuff these boxes full too. When I first received the box I was surprised at how "small" it was and wondered how could they possibly fit anything in here! I opened it up and was shocked by all the wonderful samples inside! I'm really excited to have discovered these companies I've never heard of that make products safe for us and our environment. What will you find in your Conscious Box? Get content on daily living tips, exciting monthly themes, and creative ways to use your box! That's how great these people are at Conscious Box! They do all the hard work for you. 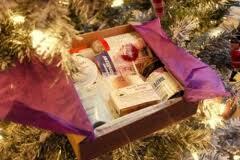 All you need to do is order the box, and you can be sure that whoever receives the box will have the best of the best. I wouldn't classify myself as an extreme couponer. I do collect coupons from my neighbors, I am part of a coupon train, and I do carry a binder of coupons everywhere I go. OK, maybe a little extreme. I thought I knew everything I needed to be a successful saver at the store. 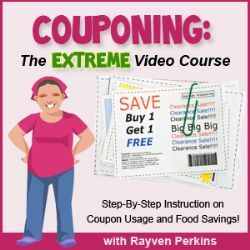 I had the privilege of reviewing an awesome video program called "Couponing: The Extreme Video Course." This course will teach you all the right ways of couponing to get the most savings. This course does teach the basics, and I knew a lot of the things already, but I learned a few things too. You don't have to do the course all at once either. Watch them at your own pace, and take it all in. If you forget something, go back and watch it again. Rayven Perkins, a 10 year couponing guru. She has "helped thousands of women (and a few men) learn how to use coupons to save them money each time they shop, and have helped make it possible for them to stay home with their kids. As someone who understands how saving up to $5,000 -OR MORE- a year can make a drastic difference in a family's lifestyle, I've helped moms across the country understand that a using coupons can make your life easier, and more complete." Not only all that awesomeness, but also a 90 Day, No-Hassle, 100% Money Back Guarantee! If you would like more info about this course and saving money then check out stay a stay at home mom. I TOLD YOU WE WOULD BE HOSTING A GIVEAWAY THIS MONTH!. First, I have to tell you that you must read the story about the creator of TruKid products. Jennifer is truly inspiring. 6 KIDS...OH YEAH...you read right! 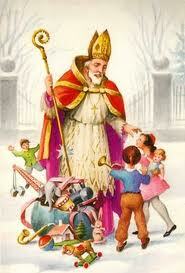 I just love their philosophy too: We encourage kids to form healthy habits that last a lifetime. 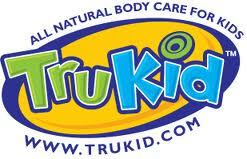 By combining all natural skincare with fun and education, TruKid™ cultivates a relationship between healthy habits and being a kid. In turn, our goal is that kids will grow up taking care of themselves, each other and their environment. From our Friendly Face Wash™ to our Funny Foot Cream™, families receive only the best in ingredients, attention and dedication to their well being. My kids got to try out a few products. They liked every one of them of course. The Bubbly Body Wash was a hit! The more bubbles the better, and they made some bubbles! My girls have very sensitive skin so it's nice to find a product that doesn't dry them out and irritate their skin. This all natural cleanser smells like a mild coconut. This is a mild, safe cleanser for skin that effectively removes surface oil, and dirt without stripping or drying sensitive skin. It's great for my kids so I will definitely be purchasing more in the future. 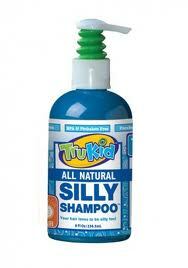 The other item my kids tried out was the Silly Shampoo. 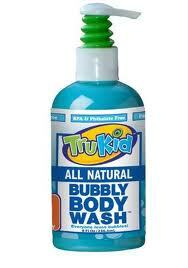 TruKid's Silly Shampoo is a mild, safe cleanser for kids' sensitive skin and hair that effectively removes surface oil, and dirt without stripping natural oils. Lightly scented with TruKids essential oil blend, there are no parabens, SLS, artificial colors or fragrances in this biodegradable formula. Another great product for kids with sensitive skin! I love using this on my kids' hair. It doesn't have a strong smell and does what it is supposed to do. My kids hair is so soft and shiny after we're done. The best natural shampoo I've found that doesn't irritate my daughters' skin! The pump is great to because it makes it easy for the kids when the';re on their little independent streaks. They can do it themselves without getting too much. We also had the privilege of trying out this new product called Rockin' Rash Relief. It was perfect timing because my daughter had just developed a blister from her new shoes. It was pretty nasty too. I put the ointment on and it didn't sting her! That is truly a first! It's not a thick creamy medicine either, so none of that pushing and pulling on the skin when you apply it. It goes on easily and then cover with a band-aid. This ointment provides a natural relief from everyday emergencies: cuts, scrapes, scratches, and any other skin irritations. Her blister healed within a few days. I seriously need a tube of this stuff! I LOVE the TruKid products. I already have a list of the items I need to purchase. Which includes the conditioner and hair detangler! 1 winner will receive the same products we did! We received these products from the wonderful people at TruKid for our honest review. 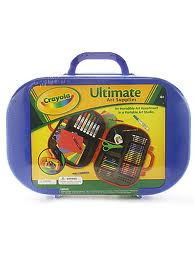 We all know Crayola is the greatest source for arts and crafts supplies for the kids (and grownups). You can imagine how my house sounded when we found out we would get to review some great products from Crayola! 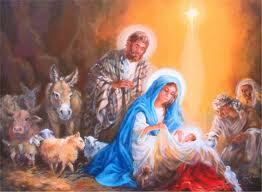 YES, LOUD SCREAMS OF JOY and thanking Jesus! The first thing the kids tried out was the Crayola Crayon Tower. I love this! The crayons aren't all over the table and floor anymore. The kids see that the crayons have a special place and they make sure to put them back. This tower makes coloring so much fun with 150 different colors to choose from. The Telescoping Crayon Tower™ compacts neatly for storage and comes with a built-in sharpener for convenience. Retails for $17.99. The second thing they pulled out of the box was the Crayola Glow Book. My son has the the Glow Board, so he was very happy to do this review. He had 4 boards to color and draw on, which was great! Each kid got their own boards and then put them all together to watch the glowing scene take place. Crayola says this about the Glow Book: Create glowing, moving, animated art! Design your own cartoons, multi-message signs and sequential drawings—the possibilities are endless! Glow markers wipe clean with a damp cloth. Create new images as often as you like! Recommended for children ages 6+, the kit includes one Glow Book with 4 clear pages, 4 animation tracing guides and 6 glow markers and retails for $24.99. 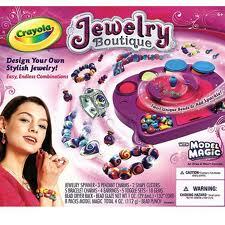 The Crayola Jewelry Boutique allows you to create awesome accessories like necklaces, bracelets, earrings, and more! There's a spinner that turns small amounts of Model Magic into swirled beads. All the beads will have their own unique color and look. For a dazzling finish, coat designs with bead glaze. For even more sparkle and pizzazz, add gems, and interchangeable pendant and bracelet charms! Recommended for children ages 6+, each Jewelry Boutique kit includes 8 packs of Crayola Model Magic to mold 160 beads, 5 bracelet charms, 3 pendant charms, 2 shape cutters, a bead dryer rack, 5 toggle sets, 4 earring posts and ear wires, a bead punch, 18 gems, 2 necklace cords, 1 elastic cord, bead glaze, and the Jewelry Boutique Spinner with storage areas and retails for $24.99. My daughter can't wait to make her very own jewelry! Lots of endless fun for sure! Since my kids are home schooled, we have a lot of arts and crafts lessons because that is their favorite subject! Crayola has helped out our lessons big time. Make sure you sign up for their newsletter! 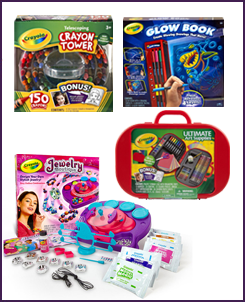 Disclosure: The Crayola Innovative Holiday prize pack, product information and prize pack for giveaway have been provided by Crayola through MyBlogSpark.